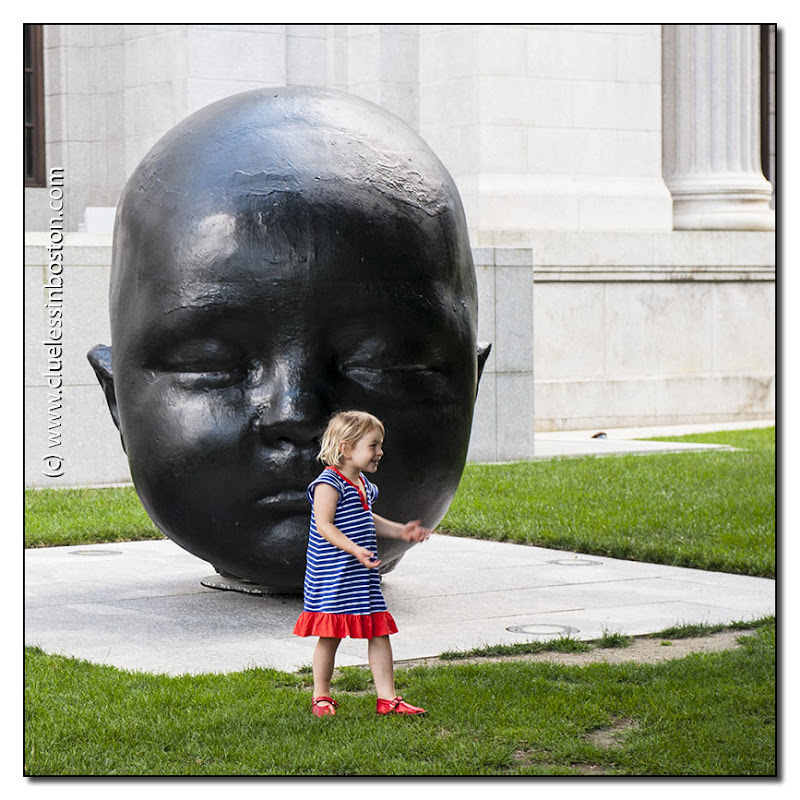 At the Fenway entrance to the Museum of Fine Arts. The sculpture is by Spanish sculptor Antonio López García. The real baby gives the scale of the statue. Funny shot! This child and her dress add so much... a couple of babies. haha, love the juxtaposition of the living child and the artist's concept of child. Great juxtaposition of art and reality... particularly with those red shoes! I attended an exhibition of Antonio Lopez last year in Madrid. I have a photo with just the same sculpture.